Packington Somers Coarse Fishery has been developed from former gravel workings to provide 13 well established, natural looking lakes and pools, set in superb surroundings. Each pool offers a diversity of sport for both pleasure and match anglers with day ticket and season tickets available. Open from 7am – dusk in the summer and day light hours during the winter, the fishery is permanently manned and has an onsite lodge incorporating a café and tackle shop. 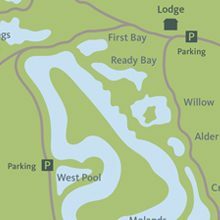 There is ample car parking at several locations around the fishery and most pools are suitable for disabled anglers. The main rules are barbless hooks only, keepnets only permitted in matches, maximum hook size is 10 and braid is not allowed to be used. A full set of rules is displayed at the lodge and anglers are required to observe them before fishing. 60 peg match and pleasure lake, stocked with carp, F1 hybrids, tench, bream, roach and perch. Carp to over 22lb and match weights to over 100lb are regularly caught. An eight acre 40 peg match and pleasure lake offering superb carp fishing with lots of double figure fish up to 20lb, bream, roach and crucians. A very prolific match and pleasure lake with 30 pegs, stocked with F1 hybrids, carp, bream, tench and roach. Match weights to over 230lb have been recorded on Little Gearys. This 1½ acre pool has 24 match and pleasure pegs offering good sport for F1 hybrids, roach, tench, carp and ide. Redeveloped in 2014, these pools are canal type match lakes with 40 pegs between the two pools. Carp, F1 hybrids, skimmers, tench, ide and barbel are the main target species. 16 peg match and pleasure lake stocked with carp, tench, skimmers, crucians and barbel. Very popular small pool with 13 pegs available offering great sport for carp to 18lb, F1 hybrids, skimmers, tench and crucians. 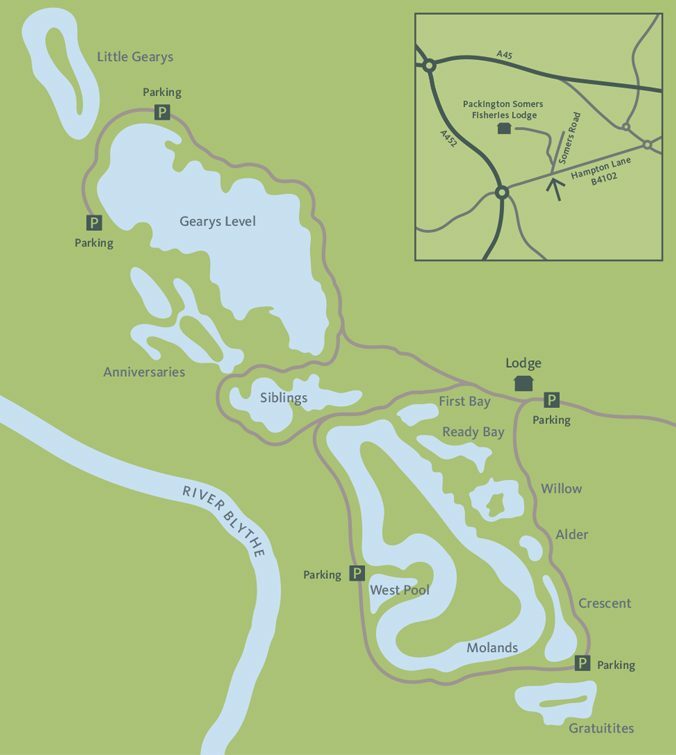 There are also four smaller pleasure pools — Crescent, Alder, Reedy Bay and First Bay — which are heavily stocked and ideal for both beginners and experienced anglers.